Fencing Contractors Wisconsin | Fence Link Inc. 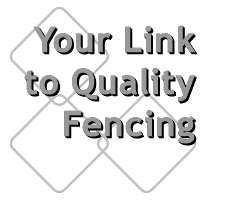 Fence Link Inc is a local fence company who installs vinyl fencing, chainlink fencing, wood fencing and aluminum fencing throughout Brown, Kewaunee, Marinette, Oconto, Outagamie and Shawano Wisconsin. Our fence company can install fencing for residential, commercial, industrial, public works and agricultural industries. Whatever your fencing needs are, Fence Link Inc is your single source for fence products and a trusted fencing installation company. Fence Link Inc is the fence company you can trust to do the job right. Vinyl Fencing is made of polyvinyl chlroride (PVC) which gives the fence exceptional impact strength, durability and weatherability. Vinyl fence materials are easy to care for, it will not warp, rot, split or blister, rust, chip or peel. Vinyl fencing is non-toxic and comes in many styles, colors and textures. Chainlink fencing can be used for many applications including sports complexes, residential, commercial, agricultural, public works and industrial. 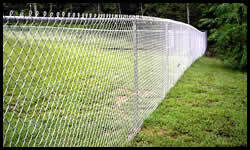 Chainlink fences can be installed at many heights and colors, and is very durable and strong. Chainklink fence is one of the most economical types of fencing available. Wood Fencing has been used for many years and can come in many sizes and board widths to create a custom looking fence for your yard. 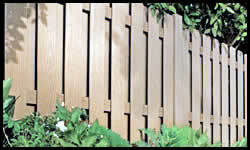 It is important to use a company with many years of experience and knowledge in building wood fences. 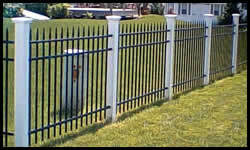 Aluminum Fencing is an excellent choice for protection and security while still being attractive. Aluminum fence has many styles and colors to match your taste. Aluminum gates are another great addition to your aluminum fence as well. If you live in Ashwaubenon, Denmark, De Pere, Green Bay, Howard, Ledgeview, Pulaski, Suamico, Wrightstown, Kewaunee, Luxemburg, Wausaukee, Abrams, Lakewood, Oconto and Oconto Falls, Wisconsin, give us a call at (920) 826-2955. Call 920-826-2955 or 888-421-4336 for a FREE ESTIMATE today!